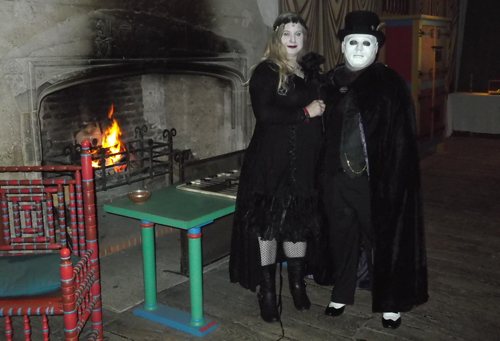 Melissa and her husband Peter took part in a day of sponsored spookiness in aid of the MS Trust. 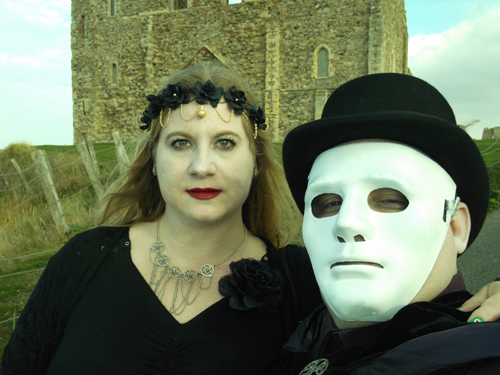 Their Terror Tour took them 118 miles around Kent in a Nissan Cube (called Kooky), visiting Dover Castle, Deal Castle and Reculver Towers dressed in Halloween costumes. 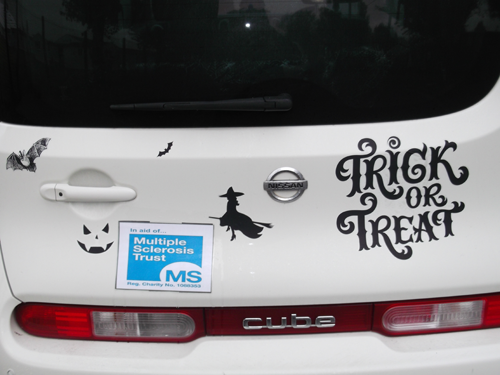 Here Melissa tells us what inspired their frightful fundraiser. Up until my diagnosis in August 2012, after having been misdiagnosed twice, I knew little about MS except that a lot of people become disabled. This was a scary prospect, conjuring up all sorts of images. But the next morning, whilst I was having a lie down to recover from my second lumbar puncture, I was visited by a lady who I came to know as Kate, my MS Specialist Nurse. She sat with Peter and me for some time, explaining what could happen over time, and asked us if we had any questions. She also gave us many booklets by the MS Trust, saying that if there was anything else we needed to know it would be in them or on the MS Trust's website. And she was right. I feel that the MS Trust has always been incredibly helpful, with friendly staff. I also came to know that they campaign for and train MS nurses, which are much needed. I am fortunate to have Kate just a few miles away and always at the end of the phone for her patients. Some people with MS are not so fortunate. For the past 4 years, I have regularly used the MS Trust's website and I receive Open Door magazine. I have purchased MS Trust Christmas cards and have also held small fundraisers at work to raise awareness and to give back to a charity that I feel is doing a superb job.